As we fast approach the end of days, we have seen an increase in demonic activity, psychological problems, and increasing pressure from the religious establishment to accept other belief systems in the name of tolerance. 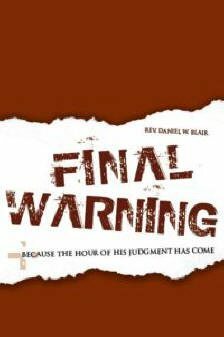 This ready resource will equip the end time saint to stand against the whiles of the devil and how to remain faithful to Jesus. Stand Firm by Rev. 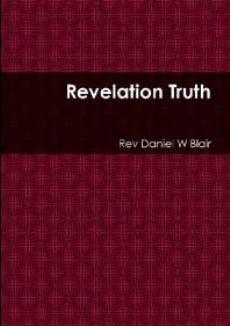 Daniel W. Blair is a beautiful book with group study questions and prayers at the end of each chapter. Reverend Blair is convinced that God has given the Christian everything needed for life and godliness, and he supports this by offering practical application. So as you go along your way, return to this book again and again to drink from the fountain of knowledge concerning your salvation in Jesus Christ and godly counsel on how to Stand Firm in the last days. Blair gives compelling evidence that the new Global City is already being built by the beast of worldly power to enslave the nations by teaching them to follow his godless agenda. Reverend Blair asserts that the image of the beast is already being worshiped and the mark taken by millions who are completely unaware of their eternal consequences. You are invited to join him in an unforgettable journey to the edge of extinction to witness all the plagues, woes, and wrath of God as they are being poured out upon the Global City. And then he carries you to the threshold of hell to imagine the horror of eternal torment. This is a whirlwind of a book that will keep you on the edge of your seat from beginning to end. A must read for anyone concerned about the future. As the world races toward the Great Tribulation, immorality among the world’s leaders, increased lawlessness, natural disasters, and anarchy many voices have flooded the blogosphere, YouTube and the social networks to interpret the times. Rev. 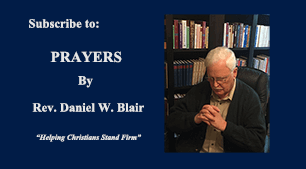 Blair has risen above the unholy chorus to write a series of timeless articles from a biblical perspective to help Christians stand firm in their faith. This collection of short articles taken from his two popular websites give practical application, prophetic insight, and a clear voice to those in power. 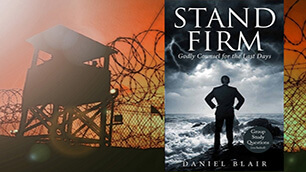 As prophet, social activist, and pastor, Daniel Blair writes each article with compassion and uncompromising biblical truth to prod every Christian to pick up the banner of truth and walk in holiness before the Lord. 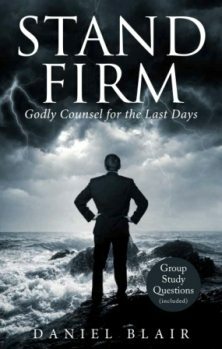 Use as a daily devotional or as a timeless resource during the coming distress. 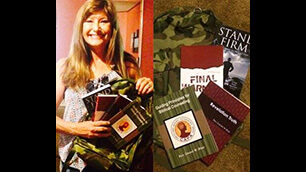 All books will be signed by the author and shipped immediately. International shipping is now available to most countries. 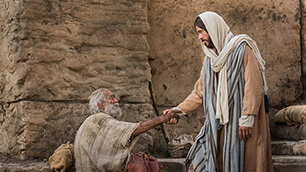 When did we start referring our brothers and sisters to the world for counseling? When did Christian counselors stop believing that His Word had everything we need for life and godliness? When did they start going to the world for their guidance and approved methodology for counseling? Psychiatry and psychology have consistently asserted that people should be “salvaged” from the chains of religious upbringing and moral restraint. 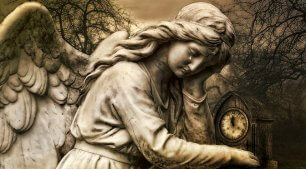 However, studies show positive moral and emotional benefits for those with religious faith. Churches and parishioners taking back control of their religions from psychiatry and psychology will accomplish the return to a morally and spiritually strong society. 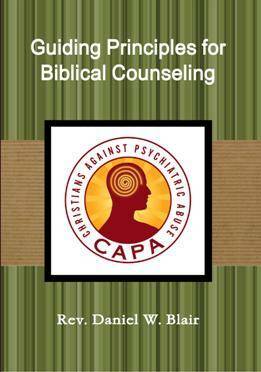 This is a very practical book not only for lay leaders and pastoral counselors, but for every Christian who desires to help their brethren who has suffered under the hands of secular psychology and psychiatric drug addiction. 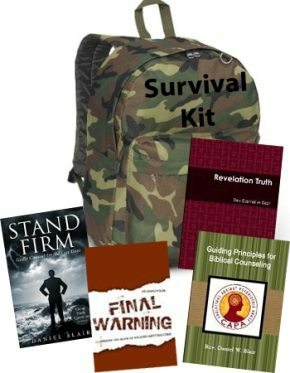 Here are four great books to help you stand firm during the coming distress with a backpack to carry your essential survival items. 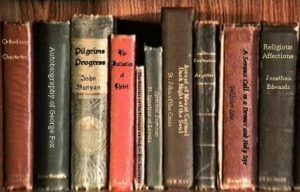 Each book is written not only to help you hold on to your faith, but for helping others that may be weaker in their faith, in need of discipleship, suffering from emotional and psychological problems and have become separated from their prescription medications and worldly counselors. These books open a window to the coming tribulation that will affect every Christian. We need to be prepared physically, mentally, and most importantly spiritually.